How GRAMMY leveraged Digital to transform GRAMMY brand experience from a once-per-year TV Awards show, to Music’s Biggest Brand. 56th GRAMMYs is officially over. As usual, the night left us with some incredible images and new twitter account @Pharrellhat. Behind the scenes, however GRAMMY has another incredible story; the story of transformative marketing success. Ever searched for anything related to music on Google recently? 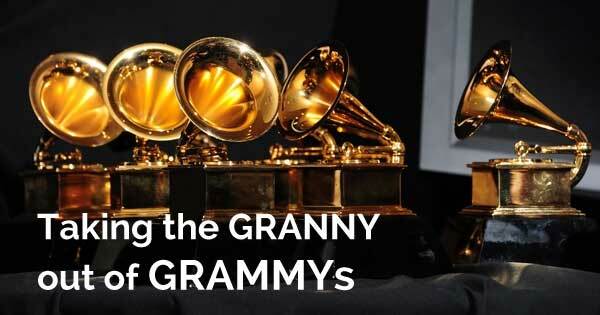 Chances are that a large number of results will direct you to one of the GRAMMY’s websites or social media accounts. 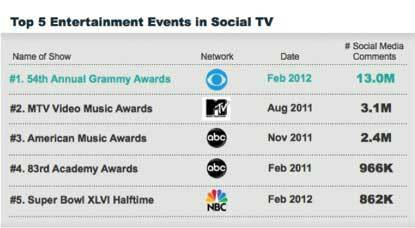 This simple example demonstrates the brand power and authority Grammy now commands in the music industry. Leveraging the power of almost every weapon in the digital arsenal, GRAMMY’s has become brand that engages its audience in meaningful dialogues all round the year. What makes the transformation so interesting is that the Recording Academy isn’t a traditional product or service. Let’s look at what made it possible. An integrated ecosystem of digital assets that connects and engages every stakeholder within the music continuum. Grammy recognised that in a multi-stakeholder world, an industry is an ecosystem. It’s a system with a sense of order, natural allies or camps, but not an inherent hierarchy. Those who organises the economics of the ecosystems are the winners. GRAMMY took center stage in the music industry by reimagining itself beyond the organiser of once in a year award function. Through a carefully crafted strategy to contextually connect with every stakeholder in the music industry, GRAMMY transformed itself to become relevant throughout the year. This digital ecosystem is the key driving force for GRAMMYs to stay meaningfully engaged with fans and other stakeholders in the music industry. In other words GRAMMYs has created a 365 days of sponsorship opportunity for once in year award night. All types of online media can play specific roles in meeting marketers’ objectives; especially when seamlessly working together. Digital Media provided GRAMMYs with an opportunity to create an interactive two-way communication, an opportunity that the GRAMMY exploited to the fullest in every aspect of their campaign. GRAMMY created a comprehensive, interactive, multi-screen experience with GRAMMY Live that gives fans a complete backstage pass to “Music’s Biggest Night®” with live streaming, behind-the-scenes GRAMMY cams, photos, social media integration, official news reports, blogs, and personalised updates from mobile GRAMMY hosts. The GRAMMY community blogger program is a popular initiative where the panel members were flown in during the GRAMMY week, together with an all-access pass to all official GRAMMY events. This panel is responsible for creating a buzz through blogs, Facebook, Twitter, Instagram, Tumblr, Foursquare, GetGlue, YouTube and Google+. The campaign was spectacularly executed on TV, in print and out of home and across digital and social platforms. The campaign was connected from television to digital channels through the first ever “back-masked” rich media film. “In previous years, our campaigns have focused either on the fans or the artists. This year, the campaign speaks to a common bond that both fans and artists share; that feeling you get from experiencing music” said Evan Greene CMO GRAMMY. GRAMMYs are now a big opportunity for marketing partners and a thriving global business for The Recording Academy. It has taken on the role of a market leader in the music industry by creating unique consumer engagement for itself and its partners, who leverage the platform to connect their brands to the target audience. As a result it comes as no surprise that the GRAMMYs have managed to multiply their revenue three times in the last five years! For example; in association with Hyundai, GRAMMY is hosting the platform as part of The Recording Academy’s ‘#TheWorldIsListening’ social media blitz to engage with budding artists and give them a platform to showcase their music. “Hyundai’s partnership with The Recording Academy ties music’s biggest brand with Hyundai’s passion for creativity and innovation,” said Steve Shannon, vice president of marketing, Hyundai Motor America. Being visible it not enough, a brand needs to become relevant. 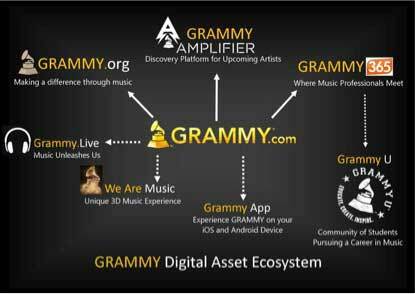 The key differentiator in GRAMMY’s strategy was its ecosystem approach. The challenge for the CMO of a large traditional enterprise, whatever the sector, is to re-imagine their industry as an ecosystem, to identify their natural allies, to ask what they can do to further their interests and work collaboratively, and to open themselves up to consumer-orientated applications. Marketers must accept the fact that the days of campaign-centricity are over; the customer now controls the message. For example Super Bowl TV audience down 84% per-ad-dollar since 1967 while GRAMMYs became the most popular social TV event. This fact is also giving rise to rapid adoption of purpose driven marketing by leading brands. Now if marketing cannot engage with our consumers in two-way communication it is not likely to perform. An Omni-Channel view of consumer is becoming even more important as the marketing landscape continues to fragment and expand. Alongside the investments in new channels and touch points, brands must commit to building a singular profile of consumer across channels. GRAMMY demonstrates how a 56 year old not for profit brand can truly transform itself by applying internet business model of building sustainable business through consumer engagement. Marketers must develop new capabilities and more flexible strategies to form those more open and collaborative networks that are at the heart of today’s digitally contestable markets. Social is how consumers hear about us, search is how they find us and content is how they engage and remember us. How do you use digital to drive business? Are you engaging with your costumers seamlessly across touch points in a way that makes their everyday more special? In the mean time let’s watch this and hear this to celebrate 56th GRAMMYs marketing success. Tarun is a Guest enthusiast on Digital Insights and we feel so glad about it. If you also want to contribute and share your knowledge feel free to connect with us, here are some goodies for you.